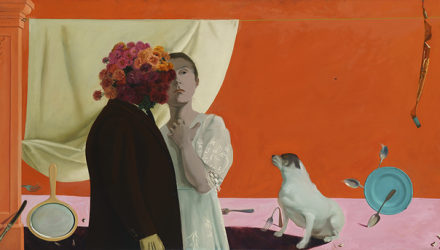 Honoré Sharrer’s paintings have been shown in major exhibitions at the Museum of Modern Art, the Whitney Museum of American Art and the Metropolitan Museum of Art. Yet she never attained wide recognition for her work. The current exhibition at the Smith College Museum of Art seeks to change that. 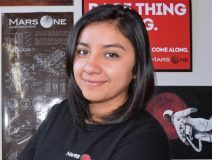 Yari Golden-Castaño ’10 is one of 100 candidates chosen for Mars One, a private international mission to establish a human settlement on the Red Planet. A systems engineer, she is an advocate for girls in STEAM (STEM with the arts) and space exploration. She shares her story in Honda's new “Greatness is Within Reach” campaign. A $10 million gift from Margaret Wurtele ’67 and her late husband, Angus, is enabling Smith College to create the Wurtele Center for Leadership. The new center unites several existing programs—the Center for Work and Life, the Phoebe Reese Lewis Leadership Program and the BOLD Scholars—under a single umbrella. 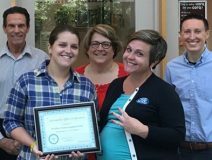 The Sustainable Office Certification Program, piloted last year through the Office of Campus Sustainability, offers tips on how to create a more environmentally friendly campus by making simple changes in the workplace. Certification is based on completing a checklist of actions from achievement levels one to three. Make Wednesday, Nov. 15, a day to celebrate Smith. It's National Philanthropy Day, the perfect time to participate in Smith's day-of-giving campaign, Smithies Give! In just 24 hours, The Smith Fund aims to raise $1 million from at least 2,000 alumnae, parents, students, faculty and staff. Your gift—of any size—helps support current students by providing much-needed financial aid as well as critical support for academic programs and initiatives. 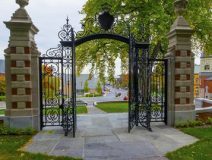 Please make Smith your cause on National Philanthropy Day! When J. Autumn Needles ’89 was a student at Smith, she used to make long lists of things to do and took great pride in accomplishing everything on them. Flash forward nearly 30 years and to-do lists are still important, but, as Needles writes in her essay "Make Time for Apples," she no longer sweats the small stuff.